Our Guesthouse is the safe haven of Malmesbury, home away from home, with friendly and efficient staff and a scrumptuous Breakfast menu! We offer a beautiful view on our scenic panorama of Boland mountains, ecpecially Table Mountain, hence our name! We are sleek and defined, classy and warm, and here strangers become friends. Table Mountain Guest House is a fine, classy guesthouse that will offer visitors a warm atmosphere with friendly professional staff. The ambience and attention to detail shows off pride and splendour. 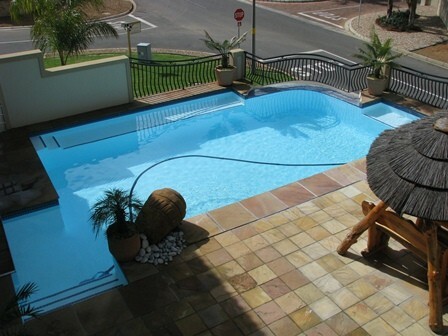 The safe haven of Malmesbury, is a secure alternative to the hazards of the big cities. Base yourself in the heart of the Cape nostalgia and explore and enjoy the Western Cape. 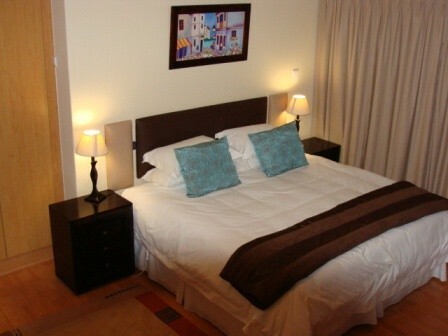 Table Mountain Guest House provides up-market experience at affordable rates in tranquil and secure surroundings. Situated only 45 minutes from Cape Town International Airport north on the N7, Table Mountain Guesthouse is a base from which to explore the unique West Coast & magnificent wine farms. Activities on offer include 4x4 trails, biking, hiking, nature trails, horse-riding and whale-watching a mere 40 minutes away. There is also an excellent golf-course within 1,5 km. The friendly town of Malmesbury is nestled in the Swartland valley, surrounded by purple-backed mountains, golden wheat fields and emerald vines, the perfect country-getaway. Malmesbury is home to the world-class Swartland Wine Cellar, established in 1948 and situated 3 km outside the town. Here some of the world's finest wines can be sampled, of which 35 are exported. Cellar tours, with free wine-tasting can be booked. Table Mountain Guesthouse offers a unique combination of comfort and luxury, your home-away from home. 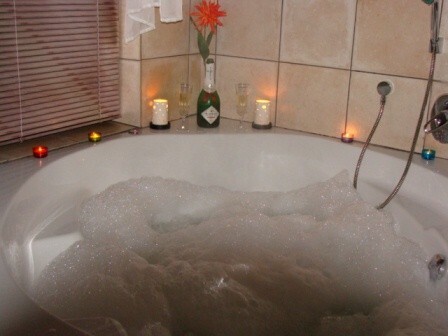 The bedrooms vary, offering a choice ranging from the Platinum Suite with a Jacuzzi (used as our Honeymoon suite) to rooms rich in interior design, complete with DSTV, bar fridge and Wireless Internet access. The guesthouse offers a variety of in-house entertainment: swimming pool, pool table, darts and plasma TV at the bar. Guests can enjoy a delicious full English Breakfast or a Continental Breakfast in the dining room while lunch packs and dinner will be available on request.